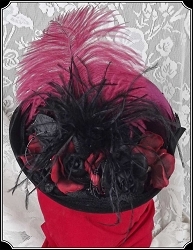 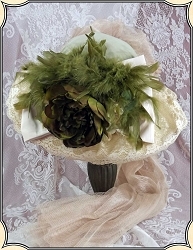 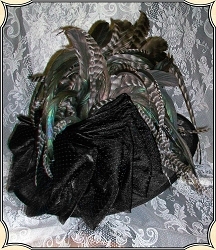 Our ladies millinery features one of the widest selections of ladies hats to be found anywhere around the globe. 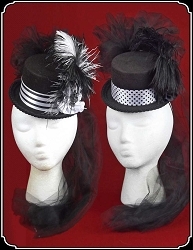 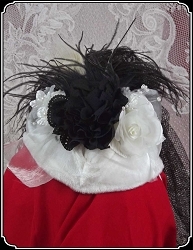 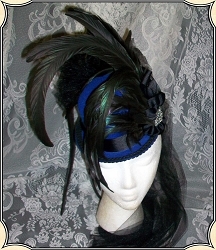 From the elegant feather hats and modest ladies bonnets to the sassy fascinator hats, River Junction is sure to have just the right hat to compliment and set off your Victorian outfit. 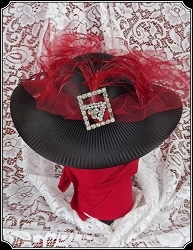 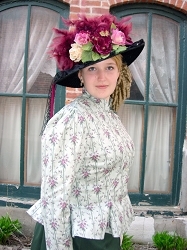 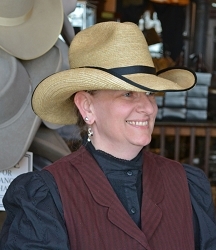 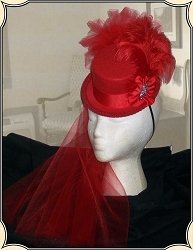 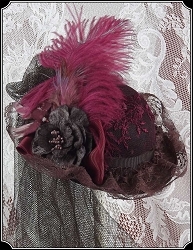 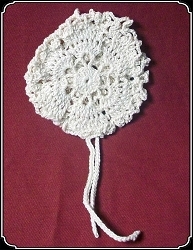 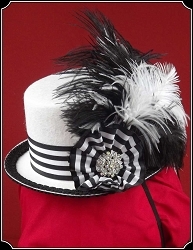 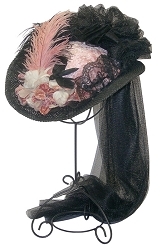 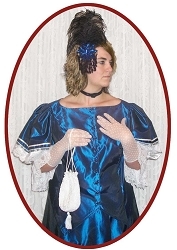 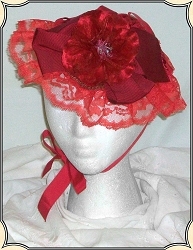 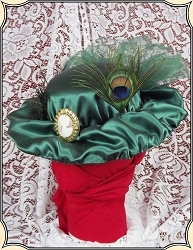 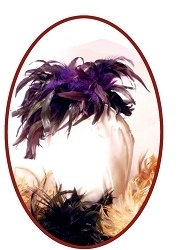 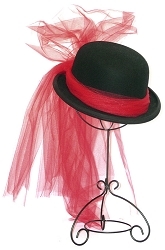 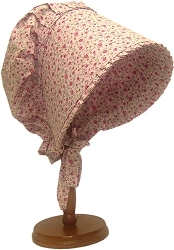 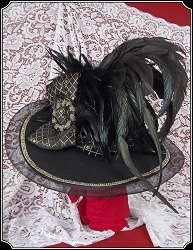 We offer over 60 styles of ladies hats from which you may choose. 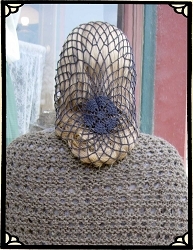 Sold one-of-a-kind item, please make another selection. 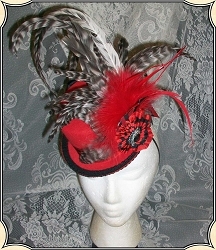 Made up especially for you; should ship in 3 weeks. 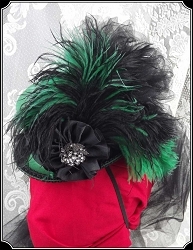 Item will be delivered in 3 to 6 business days to Continental USA.